Becky Bedbug: Who are you voting for? The UK general election is in 4 days and, while many people know exactly who they're voting for, there are still lots of people who are undecided. This year, more than ever, it seems that the public is conflicted and there's no clear indication of who will win. In fact, it looks like nobody will win so we're heading for another coalition. Hooray!... not. One of the problems causing this confusion is that it's all so complicated. All the manifestos are offering amazing things, the leaders speak with conviction about what they will do but, let's be honest, we all know it's a front. So who do I vote for? To simplify matters, I asked bloggers to explain who they were voting for and why. Note: I did ask for all parties but nobody came forward for UKIP or Plaid Cymru. There are two "main" parties in the UK: Labour and Conservative. In the most basic of terms, Labour is left wing and Conservative is right wing (Read this fantastic post by Kay if you're uncertain of what this means). For the past 300 years or so, UK government has swung between these two parties. (This is a very basic explanation because, actually, they weren't always called Labour and Conservative and, in fact, a predecessor of the Lib Dems was Conservative's main rival for the first 200 years but it's essentially the same- Swinging between one left wing party and one right wing party). Then, five years ago in the last general election, the Liberal Democrats had a huge surge in votes. Our complicated voting system meant that nobody won outright and, instead, the Lib Dems went into coalition, or partnership, with the Conservatives. This meant that the promise of abolishing student loans, made by Nick Clegg, the leader of the Lib Dems, did not happen and he received anger and ridicule for going back on his word. In those 5 years, a huge amount has happened. UKIP are a party who have come into prominence since the last election. They are controversial for their strict anti-immigration views and policies that abolish maternity leave and anti-discrimination laws. For many people, the NHS (National Health Service) is a key concern. It allows workers to pay taxes that go towards treating sickness for free, something that most UK residents are very proud of. However, it is increasingly under threat of being privatised and the strain is showing. In 2014, a referendum was held in Scotland to allow Scottish residents to decide whether the country remained part of the UK. There was massive support for both sides but, eventually, the votes determined that Scotland would remain united with the rest of Britain. "I'm still on the fence about who to vote for on Thursday's General Election. At the moment it's a decision between Conservative and Labour. Two opposite ends of the political spectrum. 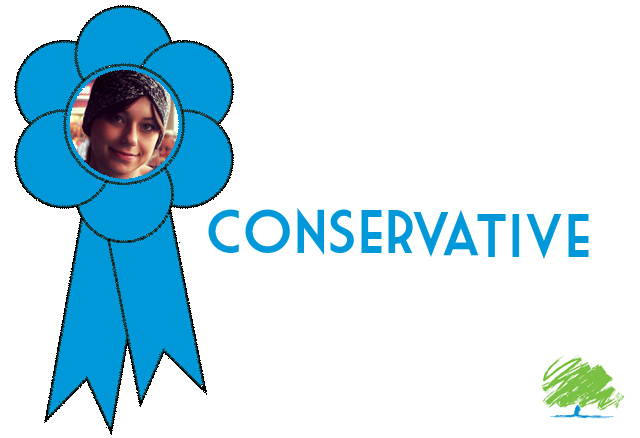 I want to vote for Labour due to my local MP, but I would prefer a Conservative government. My local MP is the Shadow Home Secretary Yvette Cooper, so you can say it's pretty certain she will still be my local MP on Friday. She is doing a great job in my constituency and I will be happy to see her re-elected. However, I think the Coalition has made a good start at fixing our economy and would like to see David Cameron remain as Prime Minister to complete the job. I was pretty much certain I was going to vote Labour until I watched the Leaders' Question Time and found myself agreeing with almost everything David Cameron spoke about (minus the EU referendum, Bedroom Tax and a few other things). I believe that to be able to fix many problems we have in the UK, we need to have a stable and growing economy first and foremost. It's only then that you can begin properly funding other departments such as health, education and defense. The Conservative and Liberal Democrat Coalition has started a job fixing the worst recession since 1928, and I don't know how much I trust other parties to continue the good work so far". "This is not a protest vote. This is also not a 'I took a bunch of quizzes to find out who to vote for' vote (which is actually a totally legitimate thing to do, if you're unsure). 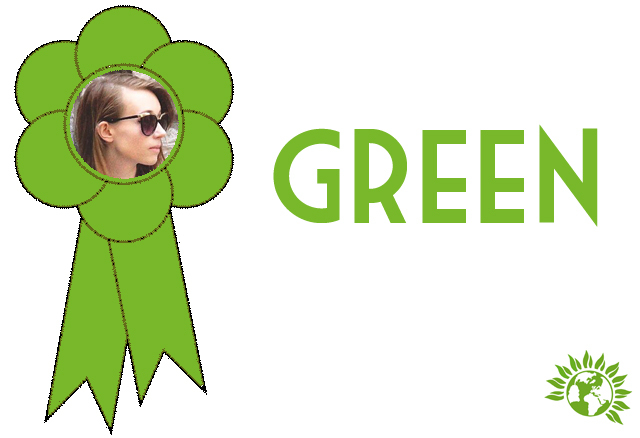 I'm voting Green because they're the party that best fit what I want for the country at this present moment in time. I'm not a massive believer of the idyllic scene they paint in their manifesto, because 1) I'm a realist and 2) that's a bit of a pipe dream in our current situation, but I can get behind a great deal more of their policies than I can for Lib Dem, Labour, Conservative or... Ukip. Not all - but I don't think there's a party in this country that would function if it was a little bit of (almost) everything. If there's a hung parliament, it wouldn't hurt to throw in an extra voice from a different perspective for once, and voting Green may just help that happen". "I decided to take the ‘policies over personality’ approach because if I’m honest, I didn’t particularly like the party leaders so I chose to look at their policies rather than the people in the party. For me Labour stood out! I like the fact that they’re planning to make cost of living better for people as I think prices are getting ridiculous plus I want to be able to afford to have my own place one day. I also think investing in young people is really important as they are the next generation who need as much help as possible. Lastly, the NHS is so fragile at the moment so by allowing people to get a GP appointment quicker it will give A&E a break and focus on emergencies only. Basically, I’m hoping for the best!" "It was only yesterday that I finally decided who to vote for. I'm a Lib Dem girl through and through, proudly displaying posters in my windows last time. (We lived on a main road and my granddad, a Conservative councillor, was horrified!) This time, though, things are different. The prospect of UKIP terrifies me so much that I strongly considered voting Labour. I also love Green's policies but I cannot see how they will implement them. 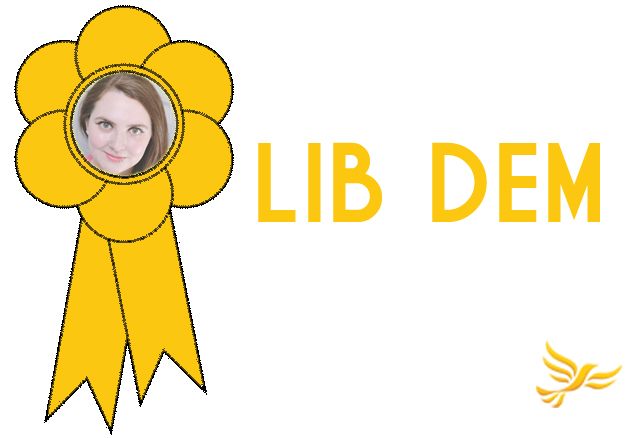 In the end, though, the logistics of my ward meant I could happily stick with my heart and vote Lib Dem, safe in the knowledge that they were the most logical choice here. They got a rough ride through the coalition and I honestly think Nick Clegg had no option when it came to student fees. After all, he is only the deputy Prime Minister and David Cameron has the final say. It's a real shame that they lost so much trust over something that I truly believe they had no power to change. As a teacher struggling with anxiety, the Lib Dems' policy to give mental health the same status as physical health is very appealing and since 2010, they have put over £2billion into schools to help children in need. I have seen the huge impact this has had in our school and I have no doubt that education is a priority for the Lib Dems. Besides, I really like Nick Clegg. I find him charismatic, realistic and open. The student loans debacle may have caused issues for the Lib Dems but I'm sticking with them". 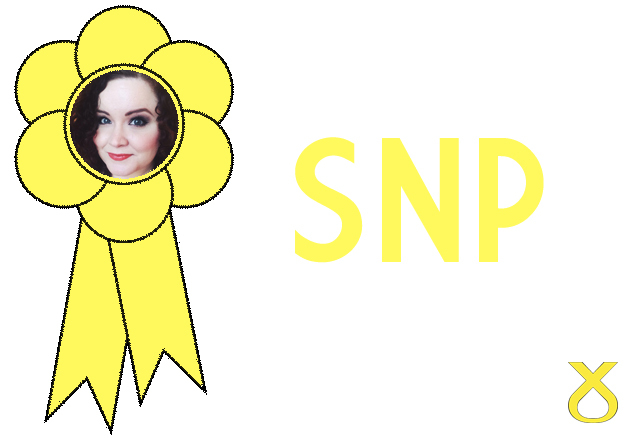 "I’ll be voting SNP on May 7th because I believe in progressive politics. I wholeheartedly support their commitment to ending austerity; to fight to make our country a safer, fairer and better place. No other party has fought so fiercely to end poverty; to shake up the outdated, elitist Old Boys’ Club at Westminster and tackle our nation’s problems from the roots. The SNP’s policies of building affordable social housing, free higher education and progressive personal taxation have been backed up with realistic budget plans and achievable goals. I support their opposition of Trident, and their campaign for unilateral nuclear disarmament, whilst their unwavering support of the NHS is as solid as iron. But more… I want to be ruled by a party I actually voted for. The recent Referendum was a staggering glimpse into how hungry Britain is for change- and not just Scotland. Great Britain needs something to change. Scotland has never been a Conservative country and yet we’re ruled by a Tory government. Scotland, a nation frequently dismissed as a Leftie stronghold, is ruled by a right-wing government. And we call this democracy? It’s all too clear that voters want this to change: on the day of the Referendum, the membership of the SNP was 25,642. Today, it’s more than 105,000. Surely this speaks for itself. Most of these figures are comprised of traditional Labourites who have now turned to the SNP. The Referendum was a wake up call for the rest of the country; Britain watched as Scotland had the opportunity to truly bring about change, and we lost it. Thousands of people who have voted for Labour all their lives have now turned to the SNP, because Labour has lost sight of what it originally stood for. Labour was supposed to represent The People- the working classes, the proles; provide a voice for those who are never heard. And now? “Labour” is just the Tory party wearing a cheaper suit. It’s not just a two-horse race any more. Labour and Conservatives have merged into one; a vote for Labour is not a vote for change. That’s why so many voters who were previously Labour to the core have now turned to the SNP, because it’s the only viable, realistic vote for a liberal, progressive party. Amidst these feelings of dissatisfaction, disappointment and betrayal, there is a party who is still fighting for change. This party is the SNP. The SNP continue to fight austerity, to fight for the working classes, to rebuild our country. I’ll be voting SNP because I believe and trust in their vision of a better nation". The political landscape has changed so much in the past 5 years. I for one am very excited to see the outcome and I cannot wait to cast my vote on Thursday! It will be a late night for me- I'm determined to stay up and watch the results come in! This is a great post, and it's amazing to see the range of parties people can vote for. I'm glad to see so many people, especially the younger generation, using their votes! I'm going to try to stay up to see the results too! What a fab post, I think its a great idea to show all the different opinions. It will be very interesting to see the results of the election next week, it is anyone's guess at the moment. Lovely to see bloggers getting involved with politics and using their votes. So many times I have to stress to my friends that politics isn't boring - it's your chance to have an opinion! Fed up of Russell Brand using his 'edge' to encourage people not to vote - VOTING IS COOL. 5 years seems like such a long time to have one government in parliament, in NZ (and Australia too I think) we have 3 year terms, and I had just assumed that was what most countries have. It was interesting reading this, although I'm outside of the UK, politics there do effect the rest of the world. 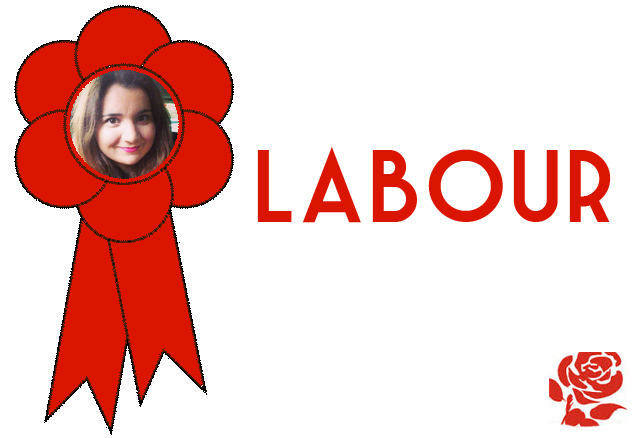 "The prospect of UKIP terrifies me so much that I strongly considered voting Labour. I also love Green's policies but I cannot see how they will implement them." YES YES YES THIS IS EXACTLY HOW I FEEL! Through and through I am a Lib Dem, and actually hope to join the party once completing my politics Masters. I do believe that the Lib Dems need a reshuffle, their performance in the run up to the debate has been poor, especially in my area which has had countless Labour and UKIP leaflets through the door and posters in the street. Come on Lib Dem, pull something out the bag and get out there the way that Miliband is! Honestly, UKIP terrify me too. It actually makes me feel a little sick that people think like that, having grown up in such a multi-cultural area. I voted Lib Dem last time, and I think I may stick with them this time, although still deliberating. Great post Becky! The past 5 years has gone so quickly! And the prospect of UKIP scares the hell out of me too. I wish more people who are able to vote would actually go out and do it and not throw that opportunity away. This is an amazing post! I think it's so important that everyone thinks about politics! Fantastic idea for a post, it's great to read people's views. I'm going to be doing a spoilt vote for many reasons! Ah this is such a great and interesting post! I love reading other people's reasons for why they're voting for certain parties - even if I don't agree with them, I can respect people's decisions and reasons so it's definitely a great insight . 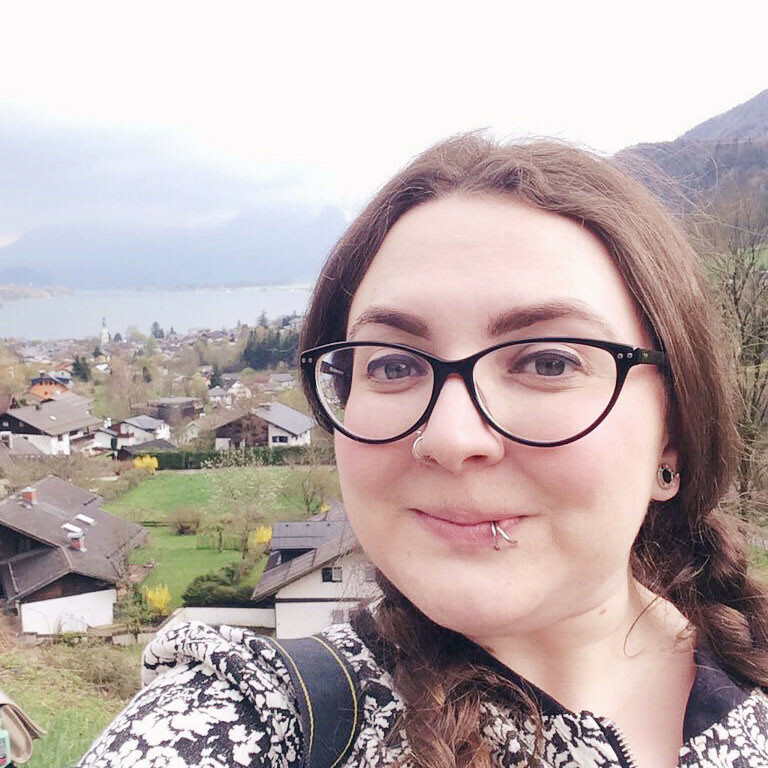 I'm tempted to vote Lib Dem because their policies on mental health are brilliant and really refreshing to hear being taken seriously - as someone who suffers from mental health issues myself. This is a great post, really helpful! This is my first year voting and I'm still not quite sure, other than definitely not UKIP! I've been saying that it wasn't really Nick Clegg's fault about the university fees... He was only the deputy of course... I believe that to be true, but then again, I actually have no idea how the policies are passed! This was a really interesting read, even after already voting!